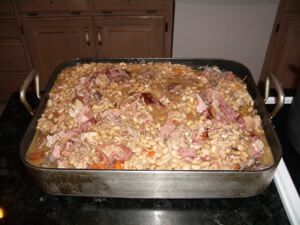 We've updated our cassoulet recipe, including pictures from the 2005 build. Every two years we make a magnificent cassoulet, and each time we learn a few new tricks. It turns out that our recipe, first posted in the late 1990s has gotten a bit out of date. For the latest results click here.